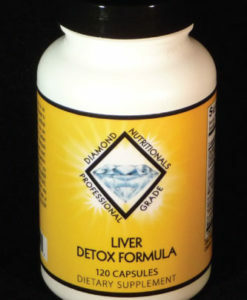 Diamond Nutritionals’ Stomach Support Formula is intended to help support the stomach and gastrointestinal tract during a possible Helicobacter pylori infection. Helicobacter pylori is an organism which is known to play a large role in the development of ulcers. The CDC estimates that approximately 2/3 of the world’s population has a H. pylori infection. While some will never show any signs of the infection, others may develop GI upset, gastric ulcers, or duodenal ulcers. There are many natural ingredients that have been studied for their beneficial effects on H. pylori related infections. Zinc carnosine is a zinc complex of l-carnosine. It has been approved as a drug in Japan since 1994 for its use in stomach disorders such as ulcers, dyspepsia, and infections with H. pylori. There are several studies showing the beneficial anti-H. pylori effects of zinc carnosine in patients with a H.pylori infection. Studies also show zinc carnosine has a strong ability to support the gastric mucosa and initiate healing. Mastic gum has traditionally been used to protect the stomach lining, especially related to gastric ulcers. Studies show mastic gum inhibits the growth of, and kills, H. pylori. Bismuth has been used with antibiotic therapies to reduce H. pylori growth. It is widely used in anti-H. pylori protocols for its soothing actions on the gastric and mucosal linings. Berberine sulfate has well studied anti-bacterial properties. Studies show plant extracts containing berberine have strong anti-H. pylori activity. SUGGESTED USE: As a dietary supplement, 1 capsule two times per day or as recommended by your health care professional. If you are pregnant or nursing, consult your doctor before taking this product. Worked for me after the triple treatment did not. Now H. pylori negative on testing. Fantastic! The Stomach Formula arrived yesterday and as soon as I took the first capsule, my whole body said, “YES”. Within an hour, my symptoms reduced by 80%. And after one day, I feel better than I have in years. This is a brilliant formula for people who have H. Pylori and related stomach distress. Or, I imagine, just low stomach acid, which I believe is the primary cause of problems as people get older. I will order 2 more bottles today. One for the 2nd month of treatment for H. Pylori. And a second bottle just to have in case I start to have symptoms again. Had the antibiotic treatment. Made me feel sicker and did not get rid of H.pylori infection. Saw an integrative doctor who also found that all the antibiotics had caused candida overgrowth. He recommended Stomach Support Formula and Candi-Calm (for the yeast). Two months later, I am negative for both H.pylori and yeast overgrowth and feel 100% better! Got rid of my H. Pylori after just 8 weeks. I had been through antibiotic treatment 3 times without success (and they made me feel worse). As a result, I also developed candida overgrowth and used Candi-Calm to get rid of that. Fantastic product! Very soothing for my stomach while getting rid of H. pylori. I keep it on hand for occasional GI upset or reflux. Works great for these as well. My family and I also take Probiotic Formula and Foundation Vitamins Formula. We have much more energy since starting these 3 months ago. Also, the customer service is great. These are very nice folks to deal with! Great product! Works well for my reflux symptoms which PPIs did not help!! I am now symptom free! This stuff is amazing! I went through the main stream prescribed triple treatment and it didn’t work! I couldn’t go through that again. I felt so sick from 2 antibiotics at the same time. Then I found this and I took it, away from food, for a month. Now I am free of pylori! So happy about that and feel so much better.